Photographer: Craig McDean. Model(s): Grace Simmons, Greta Varlese, Harleth Kuusik, Issa Lish, Maja Salamon, Tami Williams, Vanessa Moody. Source: Another Magazine. Stylist: Katie Shillingford. 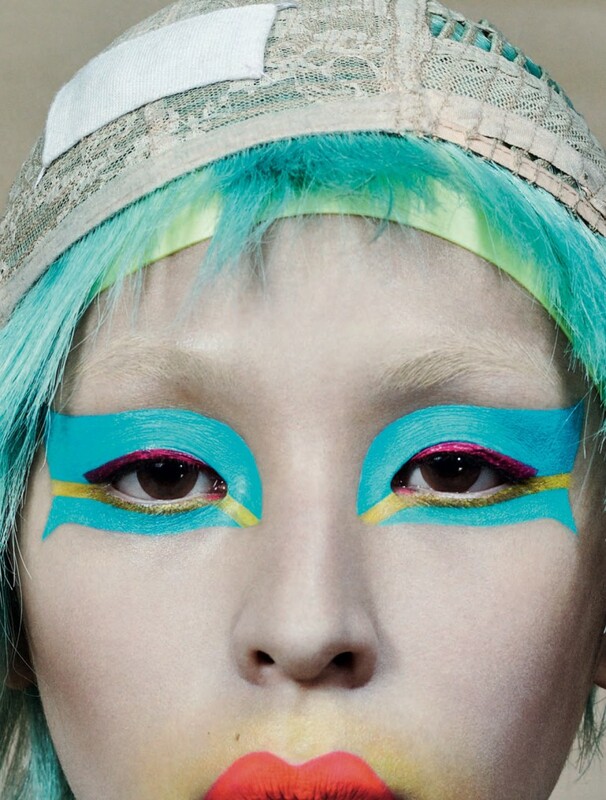 Makeup: Pat McGrath. Hair: Eugene Souleiman. Harleth Kuusik, Issa Lish, Vanessa Moody, Maja Salamon, Grace Simmons, Greta Varlese & Tami Williams are ‘Extraordinary Creatures’ by Craig McDean for AnOther Magazine. 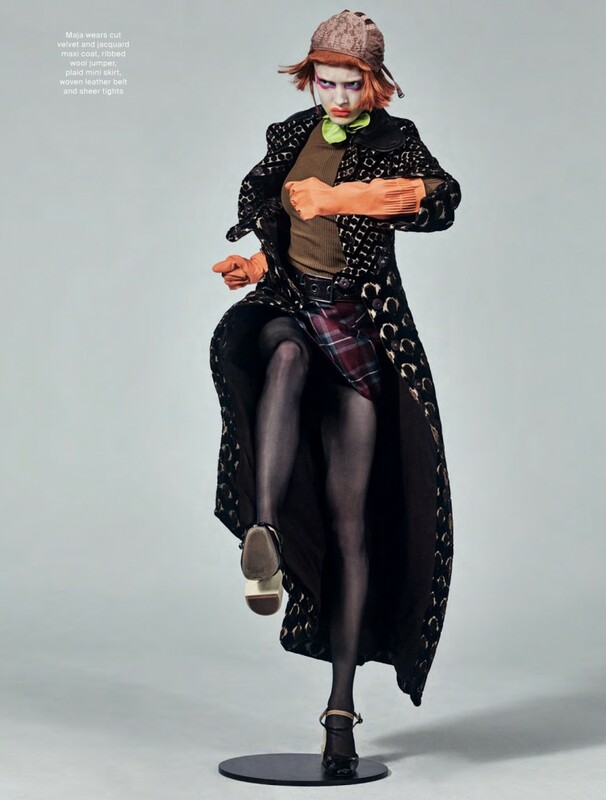 John Galliano comes to life as the Artistic Director of Maison Margiela. Way past the idea of projection, this teeters on a new construct I’m calling, Catfish Couture. It’s a new day and a there’s an innovative way of doing things. 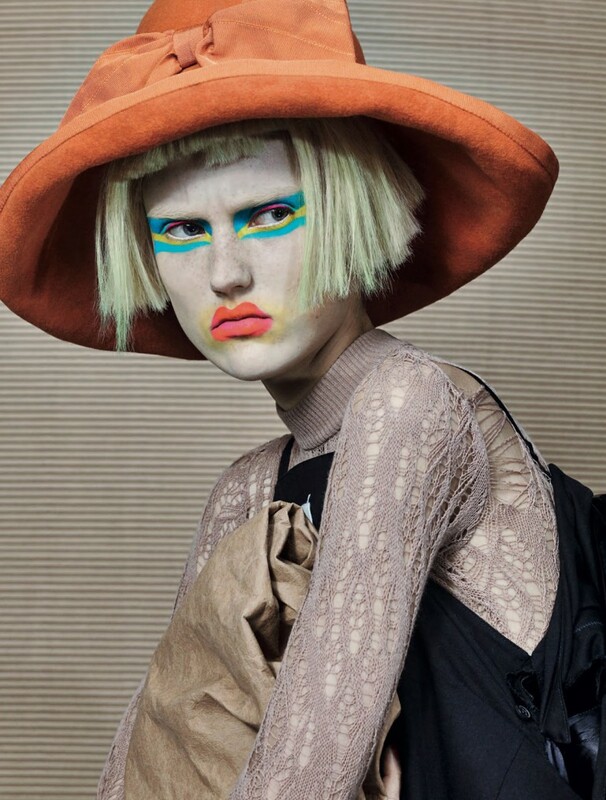 Stylist, Katie Shillingford, merges couture’s finest with a layout that echos characters on the catwalk. Eclectic designs speak to a sense of renewed strength as this story celebrates the Growth of Galliano. Textures so often common in his presentations, are subtle on one side while intellectually stimulated on the other. Secrets are sustained within us inviting dreams to devour our everyday lives. Unbridled fabrics flow as fashion flies like a flag of freedom. Passes of poetry hit the skin as waves of color invite us in. 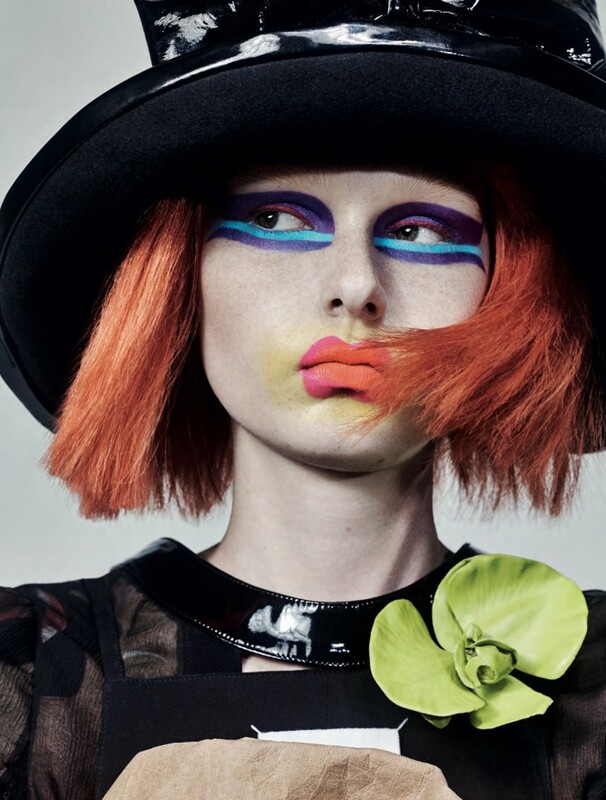 The magic of (Makeup Artist) Pat McGrath has never been more obvious than at this moment, right now! 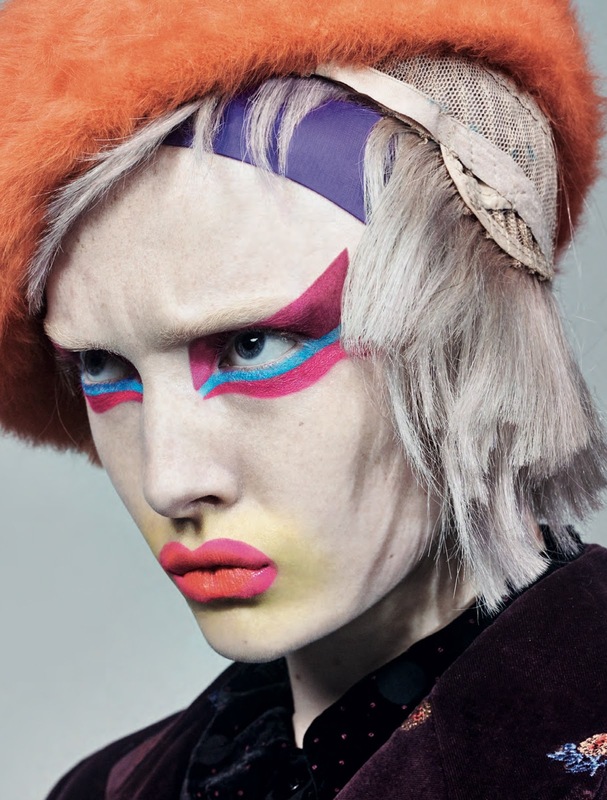 Cosmetics harmonize in a hail of neo-composition, hitting the face like paint on a palette. Wings take flight with thick, faux lashes sweeping across the lids leaving you to question what you’re seeing. Fish shapes swim over the eyes in shades of blue/yellow, magenta/teal & purple/turquoise. A concept that replays itself over and over, shadows come together to form what looks like a school of fish. Beauty is buffed out with white powder providing a rich background for the pigments to pass over. The arc of energy lifts us up, as the bright base casts a hopeful hue. Orange/Red carries us away with colors that scream to be seen. A misshapen mouth goes outside the lines, leaving yellow to appear in a lake around the lips. Hairstylist, Eugene Souleiman, bewilders us with a range of wildly, weird wigs all topped with a variety of haute hats/coiffure caps. A Master Designer, to be bold enough to inquire is the mark of true genius. Galliano’s openness to share his inner turmoil and subsequent climb out of pain, is a brave and (sobering) sense of strength. Enjoy the compelling visual piece on AnOther and read accompanying write-up by; Susannah Frankel.